Robert Kelly Thomas was born on 14 February 1972 in Landstuhl, (then)West Germany, singer, songwriter, solo performer and rock recording artist who has also worked and written with several world-famous music legends. So just how rich is Rob Thomas? Authoritative sources estimate that Rob has a net worth of $17 million under his belt, as of mid-2016, accumulated during his career in the music industry which began in the early ’90s. it is clear that Rob Thomas is definitely one of the world’s better known songwriters to watch out for – and that is well-reflected by Thomas’s considerable net worth. Rob Thomas was the son of two US Army parents, but most of Thomas’s childhood was spent without his father, as his parents got divorced when the future hit songwriter was still very young, and his mother raised him and his sister largely on her own. This sometimes difficult childhood has been a definite inspiration in Rob Thomas’s future work, and Thomas has been quoted attributing one of his most famous songs, “3AM”, to the experience of having his mother diagnosed with cancer when Rob himself was only twelve years old. Happily, his mother made a full recovery, and Thomas spent most of his early years with her. It was after dropping out of high school at the age of seventeen that Rob Thomas first formed the band that he remains part of to this day – then “Tabitha’s Secret”, now famous as “Matchbox Twenty”. Together with bass guitarist Brian Yale and drummer Paul Doucette, both of whom would join Thomas in “Matchbox Twenty”, Rob Thomas first rose to fame with the single “3AM”, but disagreements over recording labels led to a split in “Tabitha’s Secret”. Thomas left the band together with Yale and Doucette to form “Matchbox Twenty”. The new band’s very first album – “Yourself or Someone Like You” – proved a success, going on to sell 15 million copies worldwide. Such an instant rise to fame certainly contributed to Rob Thomas’s net worth, and it opened the door to his future work – both with “Matchbox Twenty” and on his own, as a solo performer and independent songwriter. Thomas’s performances – both solo and with his band, “Matchbox Twenty” – have proven hugely popular, and success as a performer has seen Rob to go on to work with some of the world’s most famous singers. To date, Thomas has worked with such legendary talents as Marc Anthony, Carlos Santana, Tom Petty, Willie Nelson and Mick Jagger. Collaborating with Santana, Thomas helped write the triple platinum single “Smooth”, which won him widespread recognition and three Grammy Awards. A Billboard Music Award and a place in the Songwriters Hall of Fame have also been rewards for Rob’s talent. As a solo artist, Rob has released a total of three studio albums, eight music videos and several EPs and singles, plus 10 studio, compilation and video albums as part of Matchbox 20; quality rather than quantity has been the hallmark of his career, and all have contributed steadily to his net worth. 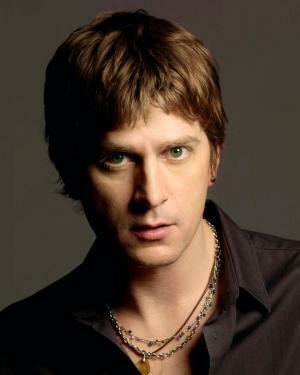 In his personal life, Rob Thomas lives in Bedford, New York with his wife, Marisol Maldonado(m.1999). Thomas has a son from a prior relationship. Rob and Marisol established the P Sidewalk Angels Foundation, which is aimed at catering to the needy. They are also animal rights activists.